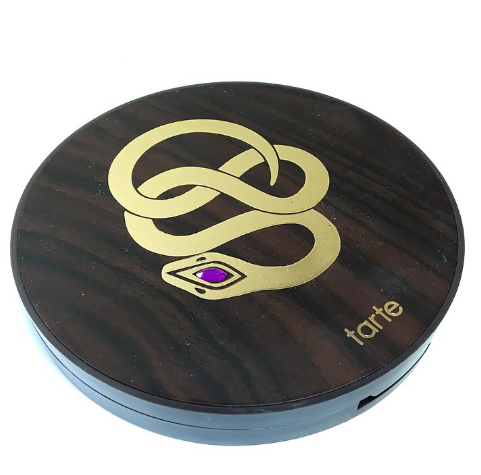 I’ve had my eye on Tarte’s Rainforest After Dark Eyeshadow Palette for a while now and picked it up at Ulta when they were offering the “Make Today Beautiful” mug as a gift with purchase! Unfortunately 2 of the Ulta’s near me ran out and the third never received any – oh well! Read on below for more information on this palette , swatches, and my thoughts! This palette costs $40 and contains 6 shadows with a mix of matte and shimmer finishes, 1 highlighter, 1 bronzer, and 1 blush. You can purchase this palette directly from Tarte , Sephora, or Ulta! I personally would recommend purchasing it from Ulta since their rewards system is pretty darn amazing! If not Ulta, I would say Sephora, especially if you’re a Beauty Insider, VIB, or VIB Rouge since all purchases will be 2x, 3x, or 4x points depending on your status through 9/17/2016! Each shadow contains 1 gram of product, highlighter and bronzer contain 4 grams of product each, and the blush contains 6 grams of product. Moreover, this palette is formulated without parabens, mineral oil, phthalates, gluten, and sodium lauryl sulfates. Just as a note, these swatches are done with Smashbox’s Photo Finish Shadow Primer and each shade is swatched twice – the top swatch is done with my finger and bottom swatch is done with a packing brush – for these swatches I used a brush from Coastal Scents – there’s no name or number on the brush. 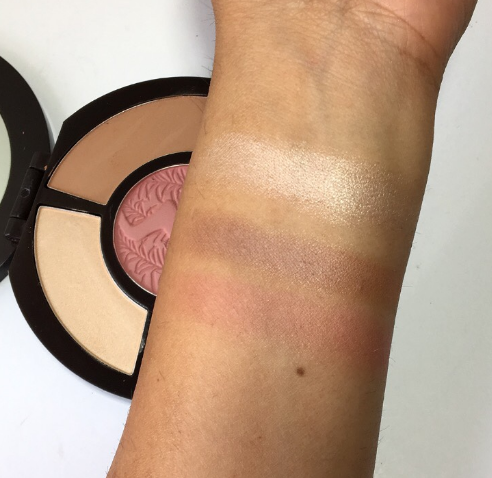 All three of these shadows are super creamy and blendable – I haven’t had an issue with any of the shades so far! 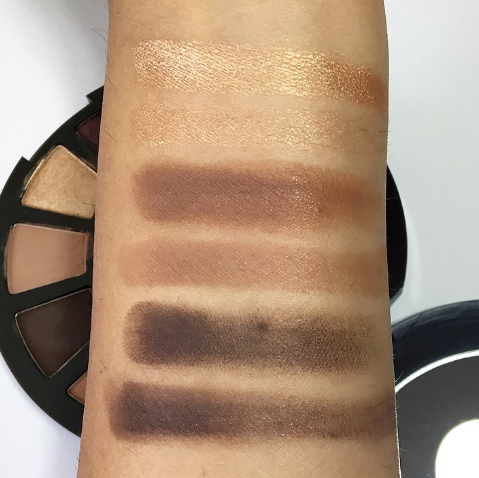 Tan-gled Up In You is a shadow I had absolutely no issues with from these three shades. Up To No Gold is one of my favorites but it will take a bit of layering to get intense pigment – nothing I haven’t had to do before! Don’t Turn A Brown, however, is the only shade in this palette I had to work with. It’s patchy and doesn’t blend easily. 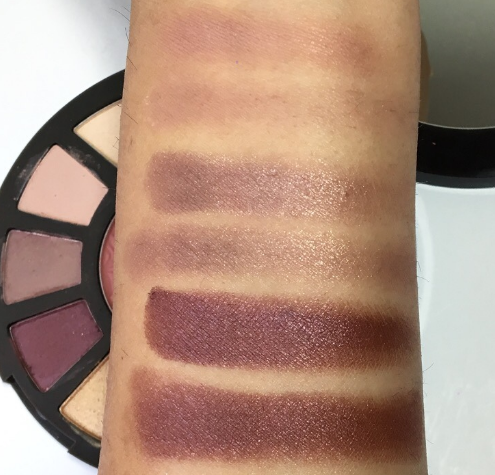 It’s not completely horrible, I’ve seen worse in high end palettes but it’s not the best shadow from Tarte. I don’t have any complaints with the face products in this palette. I do wish I used the highlight more – it’s stunning and doesn’t contain an immense amount of shimmer, making it perfect to use daily! I don’t use the bronzer often either but that’s because I don’t incorporate it into my daily makeup routine. 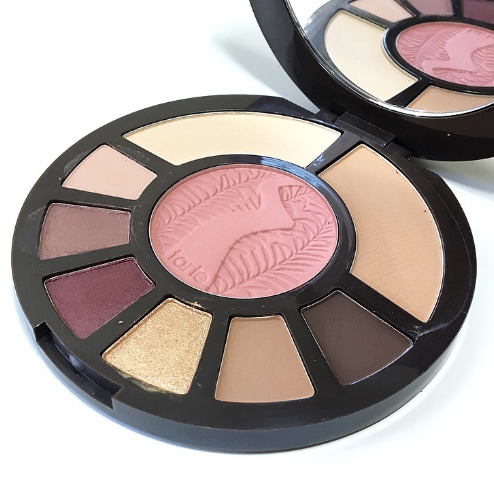 The blush is a gorgeous shade as well and the selling point for me as opposed to the Showstopper Palette – the blush in that looks a bit too light for me. This is my 6th palette from Tarte and I have yet to be disappointed. The formula of their shadows is one of my favorites! I definitely have zero regrets purchasing this palette because the face products are spot on as are all the shadows besides Don’t Turn A Brown. Also, this palette is perfect for traveling – it includes a highlight and blush I would use plus mauves, purples, and browns are my favorite shades of shadows! This might be my 6th palette from Tarte and I have not been disappointed yet! The formula of their shadows is one of my favorites! Like I mentioned above, this palette is available at Tarte , Sephora, and Ulta! I would recommend purchasing from Ulta, if not Sephora to get the most out of your haul.